This year 23 Degrees will be funding its own Enduro World Series race team with support from both Trek Bikes and Alpinestars. Attending each of the 8 rounds, 23 Degrees has two riders on the team, namely Swede Dennis Dertell and Aussie Ben Forbes. The EWS website recently confirmed that Team 23 Degrees/Trek was one of 29 teams registered for the series, a new record. 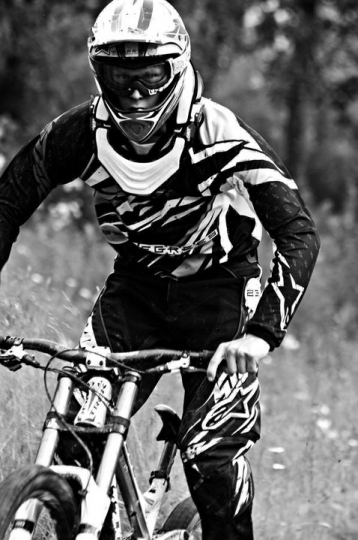 The two riders who are making their international enduro racing debut in 2015 are no strangers to top level MTB racing. 24 year old Dennis Dertell has raced World Cup Downhill events for many years with his best result being a 16th in qualifying in Leogang, but also has a number of National Titles to his name across all types of disciplines including Road, XC and 4X. He has the perfect mix of fitness and skill required to race the EWS. Ben Forbes is an exciting young rider who at 20 has been racing bikes since he was 6 years old. He’s raced Under 23 World Cup XC races as well as many Australian Downhill events with highlight results being a junior medalist at the 2012 Australian XC Champs, 5th at the Oceania Champs in Under 23 and this month getting 2nd to Enduro World Champion Jared Graves at the opening round of the Wild West XC Series. His age means he’s eligible for the newly created Under 21 age category which the organizers of the EWS have brought in to replace the junior category. Ben Forbes says: "23 Degrees has given me an amazing opportunity to represent at 5 Enduro World Series events around the world this. With my XC experience at World Cup level coupled with my Downhill background I’m super excited to test myself on the Enduro World Series stage. Joining the 23 Degrees/Trek Team has set me up to demonstrate my potential and will assist me in ultimately reaching my goal of a Top 15 at an EWS." Ben will compete in the opening round of the EWS in Rotorua at the end of March, and Dennis will open his account at Round 2 in County Wicklow, Ireland, in May.